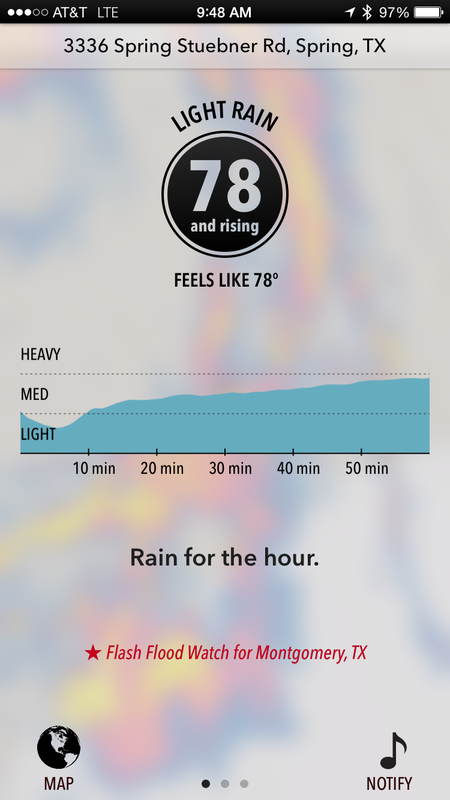 Ever wish you could know it was about to rain (10 minutes before the drops hit your head or windshield), or want to plot out your day taking into account changing weather conditions, then DarkSky App is for you. 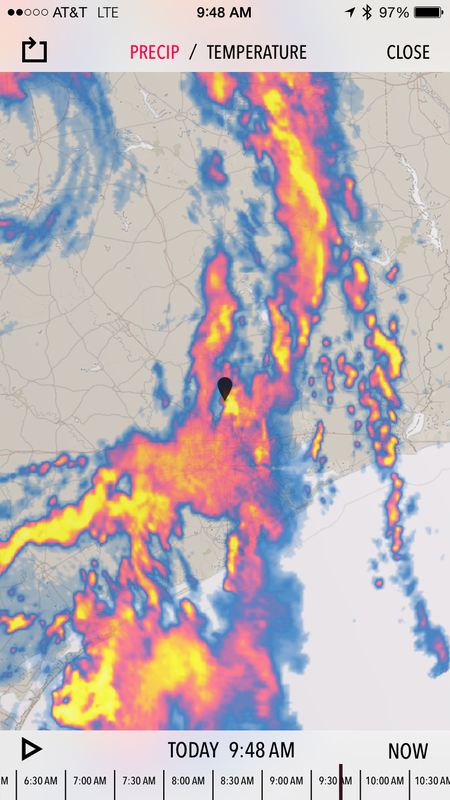 Darksky gives you up-to-the-minute weather prediction, with great visuals and on phone or wearable (Apple Watch) alerts enough to time for you to make arrangements. 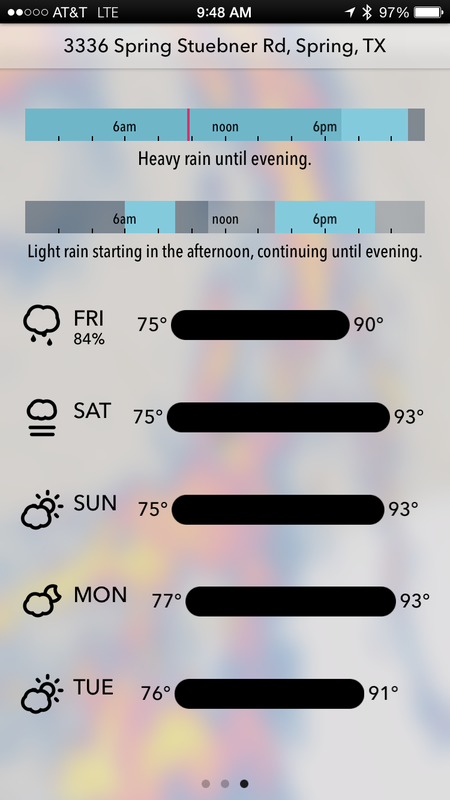 You also get an (hour ahead look) at the potential rainfall for your geo-located area- plus National Weather Service weather alerts for your location. 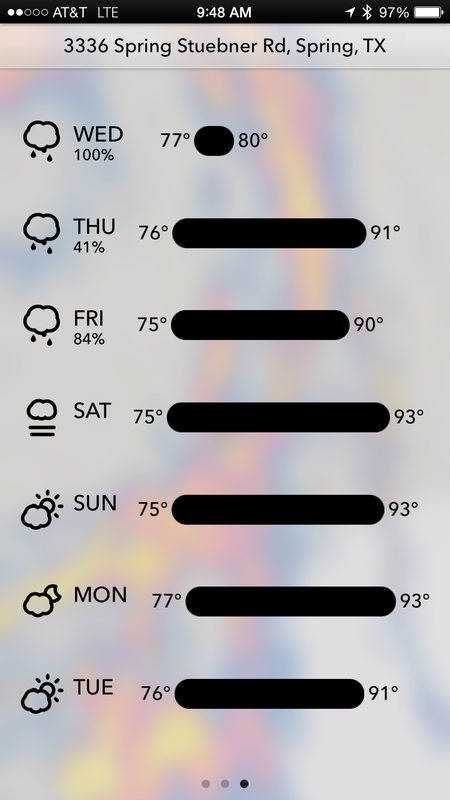 By clicking on any day you get the easy to understand “chance of rain” chart along the day timeline – making it super easy to plan. 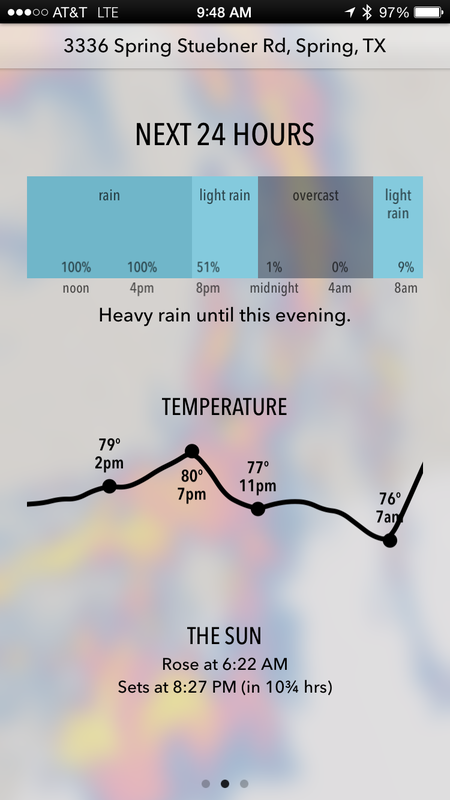 And what weather app would be complete without a radar with history and forwar time prediction. 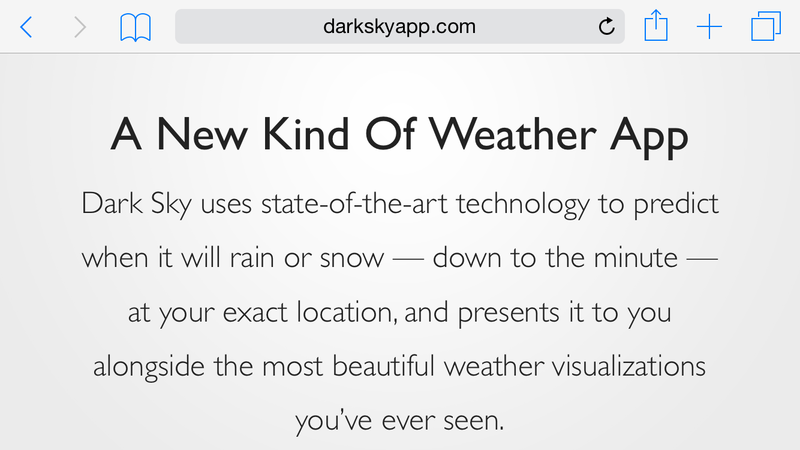 The app is available at darkskyapp.com or on your App Store – as of this post it is 3.99 but the innovation and ease of use make it well worth it. Check it out & stay informed! Previous Post Check TechBreakBlog out on Facebook!